Getting dressed up has never been easy, whether it’s for a party, an evening with your friends or something as mundane as going to work. It involves pondering about what clothes to wear, what to carry for lunch, how to style your hair and so much more. Leave one of these tough decisions to the miracles of a hair dryer. Styling your hair should never be a part of the list of your daily issues. 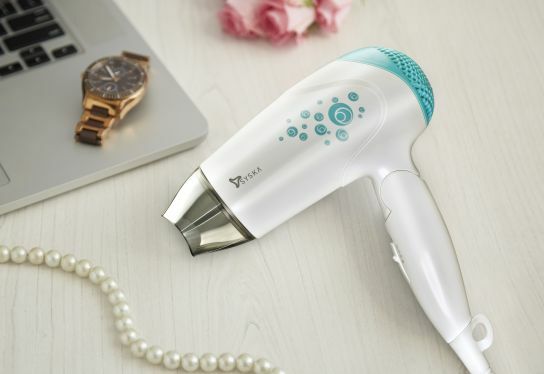 Set your hair easily with the magic wand of a Syska HD1610 Hair Dryer and enjoy beautiful hair every day! 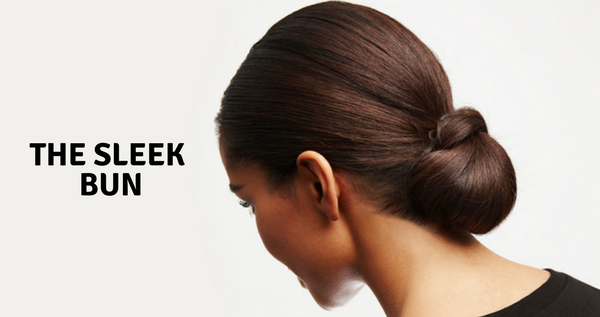 Step number one is preparing your hair to face the heat (literally). Once washed, towel-dry your tresses gently, apply a serum that detangles the strands and run a wide-toothed comb through the mane. This will help minimize breakage when you subject your hair to a blow dryer. Irrespective of your hair type and strength, it is absolutely necessary to apply some sort of serum or spray that both protects the strands from excessive heat and also adds necessary volume. You must use a heat-protection spray especially if your hair is prone to breakage and damage. For those of you who love your curls, you may opt for a volumising mousse or curl-enhancing products. Ensure you comb through, so the product can spread evenly. Not sectioning your hair is a strict no-no. One simple act can save you endless hassles. Start by creating a horizontal parting along the back of your head. Dry the bottom layers first as it will help you work your way upwards much faster and more easily. You could use large hair clips that hold the top layers in place, separating them neatly from the already dried sections. A common mistake is keeping the hair dryer stationery. The idea is to keep it moving along the length of your hair so that the heat is evenly distributed. Concentrating the heat on one spot can damage your locks. For straight hair, you may use a barrel brush and for curly hair, stick to parting your hair with your fingers as your scrunch the strands gently. In either case, it’s a good idea to use the concentrator nozzle that comes with the dryer. Comb your hair with a paddle brush for the final stroke. However, if you have curly hair or have used rollers, steer clear of the brush to avoid frizz – just fix the strays with your fingers. Finish off, by misting a shine spray or serum from the mid shafts till the ends. 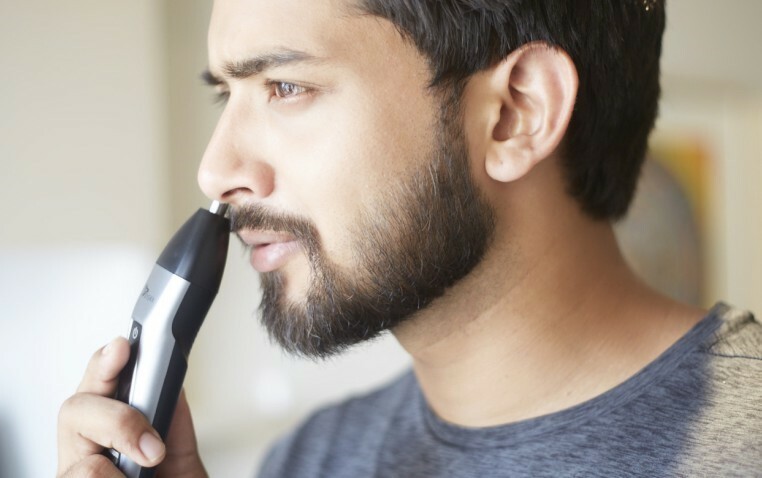 An unsaid rule of blow drying involves setting the right temperature. Make sure the heat is not too strong or it will simply sap your hair of moisture, leaving it ruined and frizzy. It’s best you opt for a hair dryer whose temperature can be adjusted. Speaking of the perfect hair dryer, the SYSKA HD1610 Hair Dryer is just right! It comes with 2 speed controls so you get the look you love, minus the mess and hair damage. Here’s to happy hair and a happier you! Syska Working up a storm: Hairstyles..
Syska Trimming nasal hair: How to op..